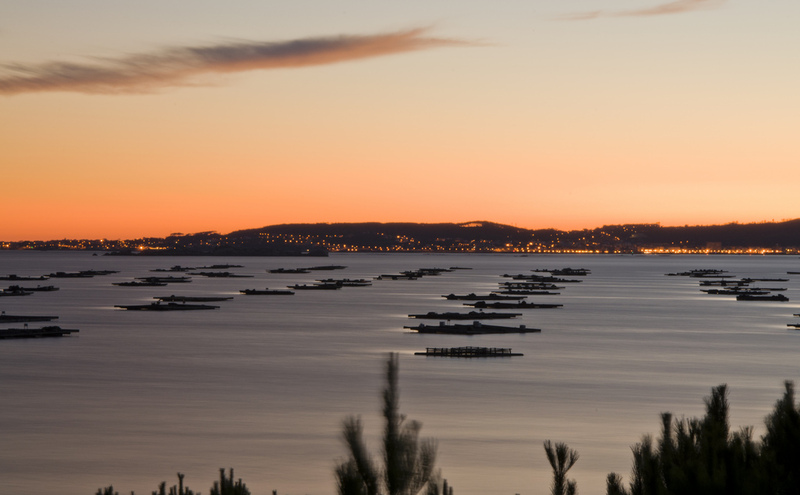 The boat Joaquin Vieta was built by the industrialist of the same name in the Estuary of Muros-Noia back in 1916, specifically in the shipyards of O Freixo located in the town of Outes in the province of A Coruña. That boat is now the oldest passenger ship of Galicia. The main purpose of this sloop was transporting salted sardines from the two factories that Vieta’s family owned in Muros by sea, and that’s what it did for almost eighty years during which it sailed seas impregnated by the instability of a time full of armed conflicts. It was in the late 90s when the owning family decided to withdraw the boat service, something which eventually prevented a group of former sailors who decided to join forces to prevent its disappearance when in May 2004 it was decided that the boat would be taken to the scrapyard. The idea of ​​that group of sailors was to rehabilitate the sailboat-shaped craft, and they did it. The main problem was the lack of financial support to carry out each of the works needed to keep the Joaquín Vieta in perfect condition, so they had the idea of ​​using it for trips through different sections of the Galician coast. After more than 10 years of rehabilitation, this sloop has become a museum ship that provides travel services with the aim of raising funds to complete a restoration with a high cost. But what does this boat offer above others? On the one hand, the fact that it is the oldest sailing ship still in service in Galicia, makes any trip aboard the Joaquin Vieta become a unique experience. Furthermore, the excursions in this historic ship are not meant for those who are unwilling to contemplate the beautiful scenery offered by the coast of Galicia while learning in a practical way about the navigation. If last summer Joaquin Vieta Association organized, in collaboration with the Government of Galicia, trips to the Cies Islands from early August to mid-September, this year has chosen to take a tour around the Estuary of Arousa all July, to show both visitors and neighbors the immense wealth of its coastline. Thus, the sailboat, which began its journey earlier this month in Rianxo, has already traveled to Boiro and, from today until 26th July will be in Pobra, a town that it will then leave to sail towards Ribeira, where it will remain from 28th July to 2nd August. 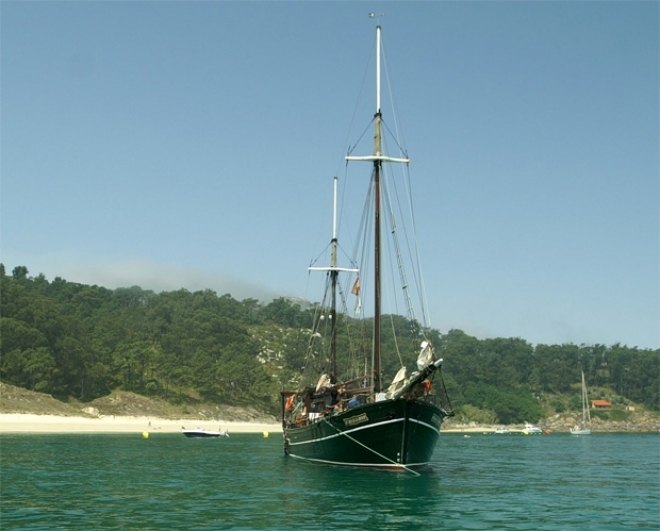 Tours are conducted from Tuesday to Sunday and all those interested in getting on the oldest sailboat Galicia can do it collecting their tickets, for free, in the tourist offices of the localities through which it will navigate.